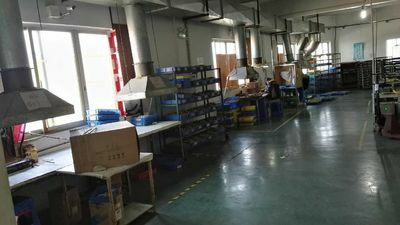 ShareWay Technology CO., LTD. a specialized manufacturer of PoE Components, products include PoE transformer , PoE RJ45 Magjack , PoE Lan Transformer , PoE Lan filter and so on . Established in 1998, we have around 500 staff at present. With the abundant productive capacity , we are able to delivery the goods within the short time. Moreover, we can provide the professional complete solution for PoE appliication. Our products are widely used in networking and communication equipment such as HUB, PC card, Switch, Route, PC Main board, SDH, PDH, xDSL modem. discrete LAN Transformers, T1/E1 and xDSL Line Transformer. 2000 Develop PoE RJ45 connector which is with LAN transformers. 2002 Develop SMT and Vertical PoE RJ45 connector with magnetic. Contact us now to have a solution for your project and new design , we are always ready to Share our successful Way with you . 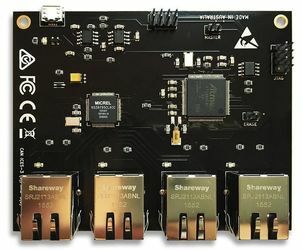 Shareway technology (SW) is a China-based telecom components manufacturer located just North of Shenzhen, Guangdong China. 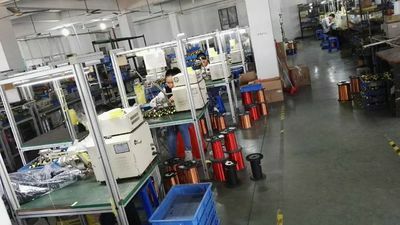 Started by industry engineer, the company has chosen to swim against the tide of “everyone doing everything” and focus on their expertise in developing and producing telecom components products. Their flagship product line, PoE components, embodies the spirit of the team by becoming the first in the industry to release a full design solutions for PoE market. SW recently added product SCG1008NL & SCG7029NL have been successfully approved by the leader of the HDBaseT–Valens , who is also the HDBaseT main chip manufacturer. For more information on these please contact our sales . Mr. Zou is a seasoned 15-year veteran of the telecom industry. Formerly engineer of Trxcom, Weny brings many years of professional leadership experience and market knowledge. Weny holds a Masters Degree in Business Administration (Marketing) and a Bachelors Degree in Computer Science. Mr. Chou is a professional overseas sales , he joined our team since 2013 and all of us love him very much . He is very kindly and friendly in the working , you can get a fast response from Nick , which is amazing ! Smart , honest, self confident makes him shining in our team. Miss Yin is in the company since it founded . She is full of passion and always do her best to support clients . Vicky have a Bachelors Degree in Computer Science and math . You will never know what a good girl she is unless working with her .